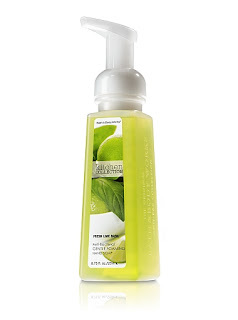 Bath and Body Works’ foaming hand soap in Fresh Lime Basil. Do not, however, get Herb Garden. Campbell came out of the bathroom demanding to know “why it smell like ‘lantro in here”. Cover Girl’s Lash Blast mascara. The first words out of BC’s mouth when he walked in the door were “Are you wearing mascara?” My lashes were THAT much longer and more defined. Truth be told, I’m more likely to be wearing someone else’s snot on my shirt than mascara, so that could be why he noticed, but we’re going to go with the other angle. 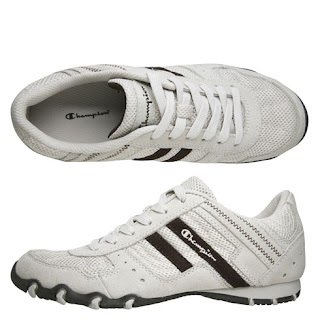 Champion Pique Sneakers from Payless. These have become my every day shoes for fall. Super comfy and cuter on than in the pictures. Also, I got mine during BOGO and had a 20% off coupon, so they were CHEAP. It turns out the Anthropologie rug of my dreams was not that cute in real life. I found and ordered this one instead. And it was on clearance. And it sat in the warehouse for 2 weeks without anyone calling us and telling us it was in. And I was mad. And I voiced my displeasure to the manager of the store. And we got another 10% off. Company C is the rug company. Mine specifically is Carousel, but it’s been discontinued. who else's little boy knows what 'lantro smells like?! Loving the LashBlast Mascara as well!! I'd be surprised if my husband could identify the smell of cilantro. I'm loving Revolution Earl Grey tea (with lavender!!). I used to buy it at Target and they stopped carrying it. I went into a panic until I found I could buy it by the case on Amazon. I'm loving my new flip flops! http://www.healthyfeetstore.com/pg-lite-alegria-thong-sandal-ibiza-crinkle-patents.html They make my feet happy! I'm loving your new family room! Oh! And Applebees Karaoke night in Tool-E.
And that's it b/c I suddenly have a cold and all the world is one ball of snot to me. I also LOVE the color you painted your piano!! I'm totally going to Applebee's tomorrow night! Hopefully they will be playing a little Neil! I've heard he's popular with the locals as well as the outta towners! What's the color of your piano? I want to use it in my family room. I need to try the LashBlast–my eyelashes could use some help! Love the rug Char! I'm totally in love with any and ALL Don Aslett Cleaning Products! Makes me want to clean!My hubby digs it too! I LOVE YOUR RUG! I want one for myself – I am green with envy. I love the fresh lime basil, and also the kitchen lemon! Mmmmmm! Lash Blast too! I just bought some last week and I'm loving it! Seriously the first sound out of my mouth when I saw that rug was "oooooh!" I adore that rug. Lucky you! The piano color is Watery from Sherwin Williams (but I had it color matched at Home Depot). lash blast mascara is the BEST. ever. no joke. and i'm LOVING the rug! 1. Minced garlic from trader Joe's. 2. method making refills for the fragrance free soap! 3. Method babywash. smells like heaven! I love that your little boy knew what cilanantro smells like. That's awesome! That is a new flavor soap that I want to try and they were all out when I went to buy it. Cute rug..nice price. I am loving your new family room! Other than that, I got nothing…guess I need to find me something to love…life has just been too stressful lately. Is the lashblast mascara black? or is it colorless, and just makes your lashes fuller? I'm loving the vibe in your living room! 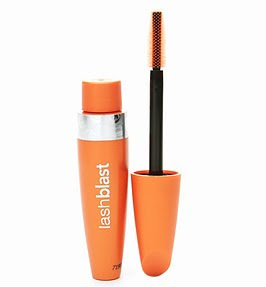 I bought some lash blast recently – I love how easy it is to wash off. Unfortunately, I bought a weird color, platinum black, which looks blue on my eyes.